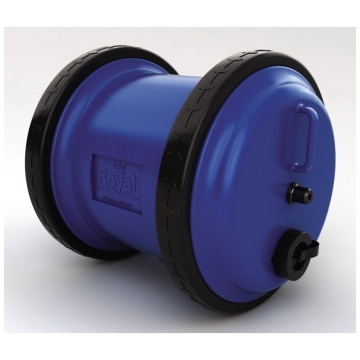 Aquarius Royal 40L Water Carrier. 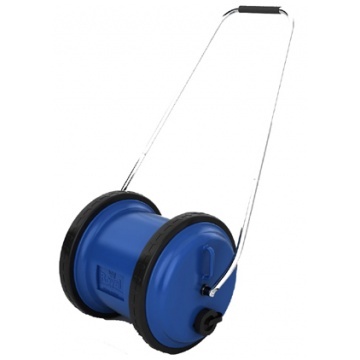 40 litre capacity water carrier. 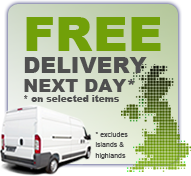 Extra wide high quality tyres with rugged tread for enhanced traction and durability. Side opening for fitting mains adaptor and easy filling option. Removable and collapsible stainless steel handle for ease of storage. 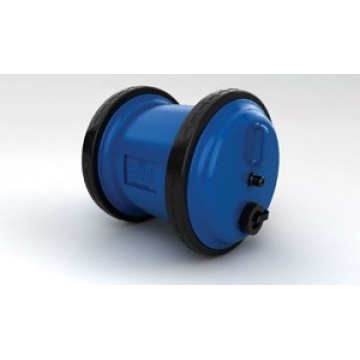 Accommodates all type of submersible pump. Soft grip handle for enhanced grip and extra comfort. Made from rigid high density polyethylene. Supplied with high quality filler tube and tap connector.